The nation’s top wireless network operators continue to work to make the most efficient and effective use of their spectrum resources. In many cases that involves deploying increasingly advanced LTE technologies across their various spectrum holdings. But which spectrum bands are doing the heavy lifting? Mobile network monitoring company Tutela has the answer. 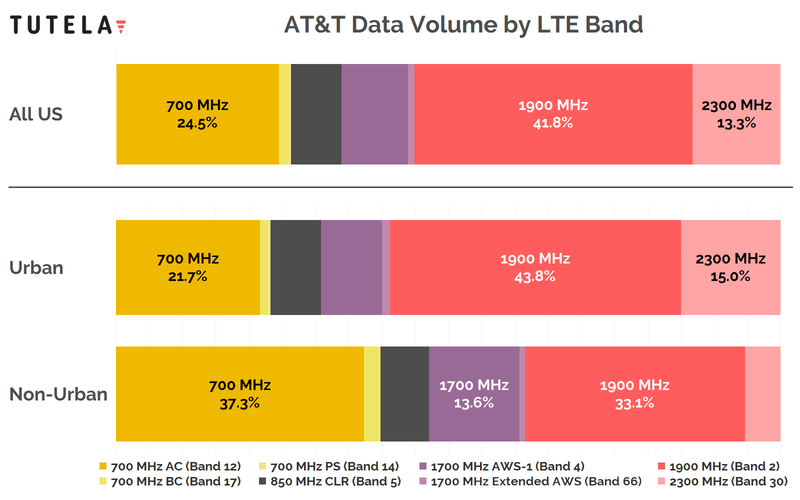 In partnership with FierceWireless, the company is releasing data that shows exactly which spectrum bands are carrying operators’ data traffic. 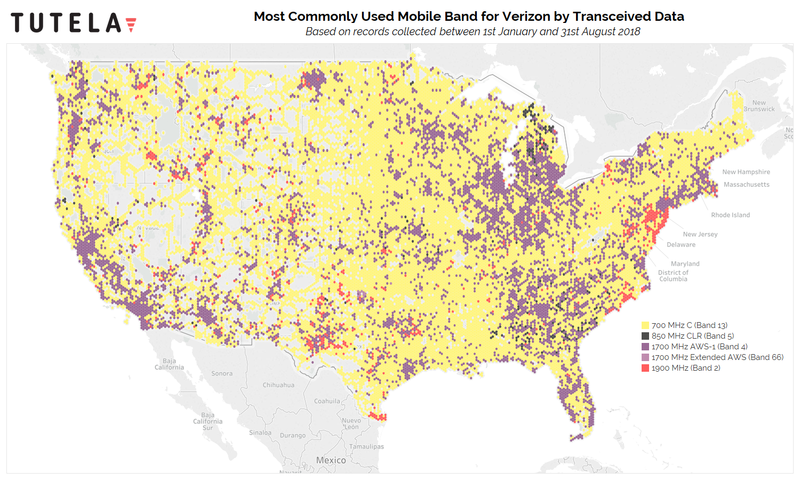 More importantly, this information is broken down among the nation’s four major wireless network operators: Verizon, AT&T, T-Mobile and Sprint. The data is intriguing. 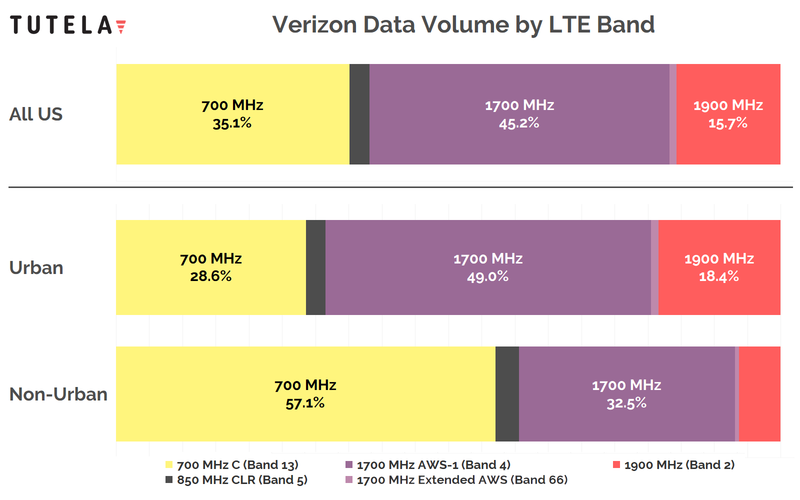 For example, in the charts and maps below, it’s clear that Verizon’s 700 MHz and AWS spectrum holdings are carrying the vast majority of the operator’s data traffic. 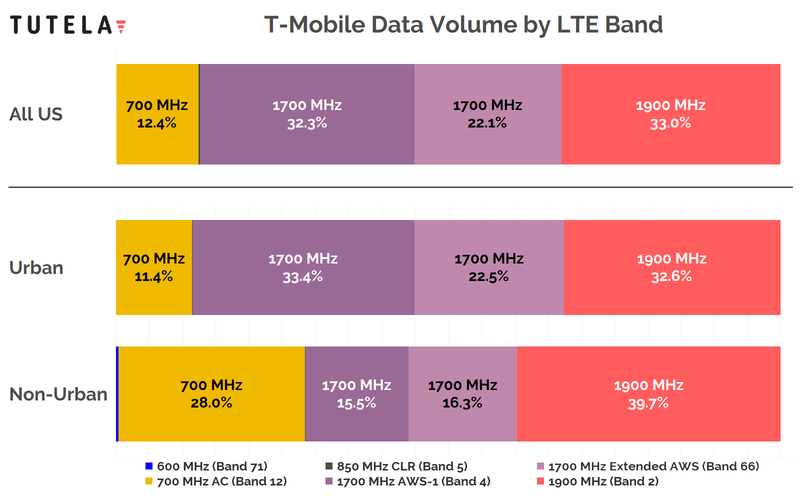 But T-Mobile’s network is relying extensively on the operator’s 1900 MHz spectrum licenses—and the same goes for AT&T’s network. 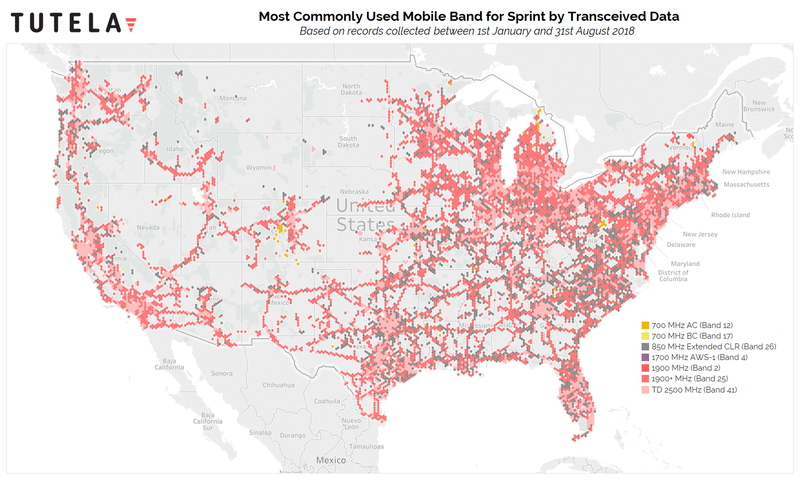 And Sprint, which is in the process of deploying additional 2.5 GHz services, already transmits much of its data across those licenses in urban areas, but not in rural areas. As Tutela points out, low-band spectrum in general is heavily utilized in rural areas, while midband spectrum is leaned on for urban connectivity. 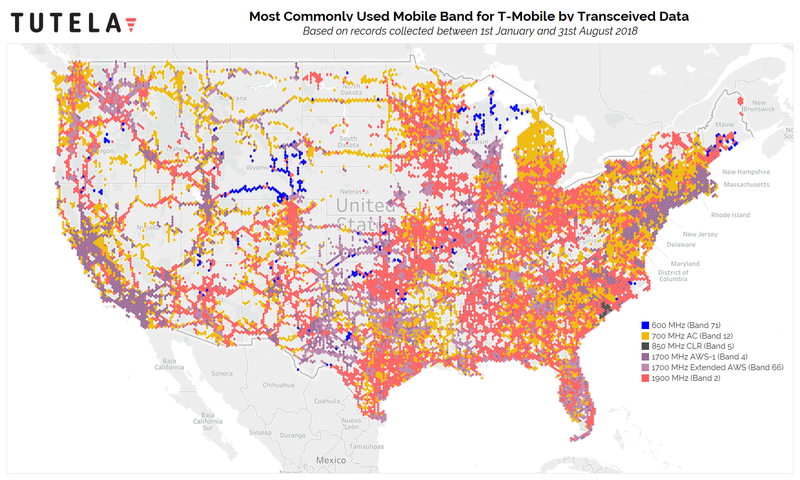 And despite the superior geographic coverage provided by low-band spectrum, midband spectrum still handles the majority of network traffic for all the operators, the firm said. So how did Tutela arrive at this conclusion? 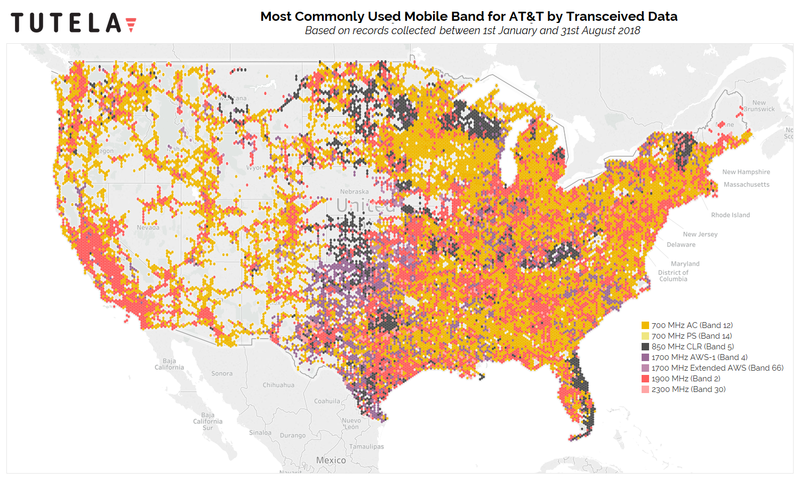 The company collects data from over 1.5 million devices in the United States every day, including not only download and upload speed tests, but also information about the cellular network and device data activity. To obtain this data, the company works with Android and iOS app developers to get Tutela software installed into their apps, and then its monitoring software runs in the background of those apps; the company then collects and sells that data (which doesn’t include any information that can identify a user or their device, including email addresses, IDFA, AAID, device ID, or IP addresses) and splits the resulting profits with app developers. 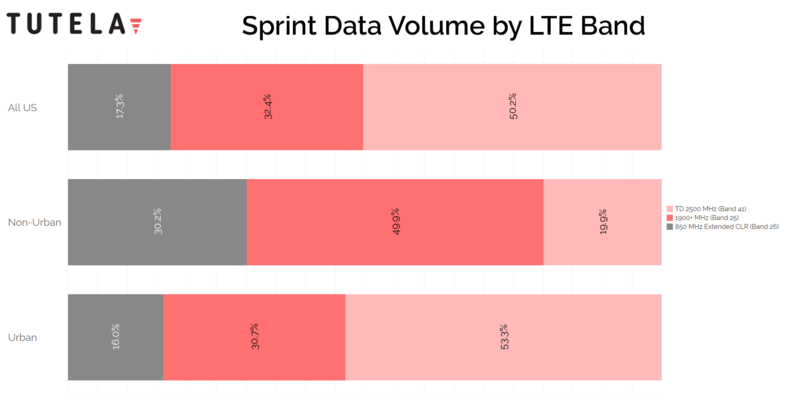 Below are Tutela’s findings, split up among the nation’s four major wireless operators. Article updated Nov. 29 to include corrected charts and maps.